One of the biggest stumbling blocks for new writers can be something as simple as essay format. How do you format an essay? What are the rules for how an essay should look? Where should titles go, subtitles, headers, citations? How should the paper look? Just being able to visualize the appearance of the paper can help a writer clarify a lot of uncertainties and answer a lot of doubts. Seeing a properly formatted essay is like taking a look at a road map before you set out on your own journey. The map is there to help guide you—and that is what this section on essay format will do. We will provide a few examples of how to format an essay according to the three main styles used in colleges today—APA, MLA and Chicago—as well as give some guidance on basic formatting concepts. Some things will stay the same no matter what style of citation you are using. So let’s get those out of the way first. A simple rule to follow when laying out a simple essay’s format is to stick with the Intro/Body/Conclusion structure. Longer essays will require a more detailed strategy with headings, subheadings and/or chapters—but for the basic essay, the following graph gives a good idea of what you should aim to achieve with your essay. The introduction sets the essay in motion by presenting the topic to the reader. The body of the paper—where the 1st, 2nd and 3rd subtopics are discussed—should illuminate the overall subject or thesis of the paper. The conclusion is where you wrap it all up, summarize what you have discussed, and restate your main point in new words to remind your reader what it’s all been about. The format described above could also be considered a formula, however, so it’s not entirely essential that we dwell on it here. Still, it can help—so let’s just say that this simple approach for how an essay should flow is summed up in how an essay paragraph should look. Consider an essay paragraph like traffic. The first line is the green light—you have to kick it into gear and get the ideas moving. The first sentence acts as your topic sentence: it tells the reader where the paragraph is going. It’s like Siri or whatever GPS tool you are using. The second, third and fourth sentences (or how many it takes to get the point across) are like your response to the yellow light coming up: you have to slow down and give the reader a minute to look out the window at the passing scenery. The trip is half the fun, so give some reasons, details, pictures, facts—anything to make your topic make more sense and seem more understandable. Then as you are winding up your paragraph—hit the brakes. You’re at the stop light. Give an example of what you mean: examples help put everything into perspective—they yield clarity and appreciation. Finally—the light turns green again and you remind your reader of the topic. Turn lanes with a nice transition word or phrase and head into the next paragraph. See? Writing a paragraph is just like driving! Now we will look at some simple formatting tips that will depend on the type of citation method you are using. In this next section, you’ll find an explanation of the proper formatting method for APA, MLA and Chicago style essays. APA formatting is commonly used for research papers in which a problem is researched, literature is reviewed, a methodology is described, data is obtained, findings are discussed, and conclusions are drawn. Such research papers are typically lengthy. APA style is also used for shorter papers, however, and can easily be adhered to no matter the subject. An APA formatted essay begins with a title page, followed an abstract. An abstract is basically just a preview of the paper. A typical abstract is about 150 words. If your paper were a movie, the abstract would be what the consumer finds on the back of the box when deciding whether or not to purchase it. The more to the point and exact, the better: a good abstract will tell the reader what the paper does, directly and without any subtlety. The abstract is like your confession: there are no tricks, no nuances, no deceptions, no suspense. Everything is laid out tersely and succinctly. So first comes the title page. Then comes the abstract page. Then comes the paper proper. Once you have your header and headings in place, you can go about filling in the parts of your essay. Your introduction will be followed by your body and supporting points. The paper will close with a conclusion. It is important to remember to follow APA guidelines for headings (bold Level 1, Level 2, Level 3 and Level 4 headings—see Purdue OWL for more instructions). The title, abstract and references are not bolded. This information is followed by the title of the paper, centered, without quotation marks around the title (but if you refer to the title of another published work in your own title, you will put quotation marks around the title of the published work). Because your paper should already be double-spaced as a basic rule of all essays, there is no need for additional spaces between any of the lines. Starting at the top of the page, fill out the info as described above in the upper left hand corner, then write the title—and then launch into the essay after writing the title (again—no need for more spaces). Like in APA formatted papers, MLA also uses a running header. In MLA, the running header is justified to the right and includes only your last name followed by a page number. The most important thing when applying headings in MLA is to be consistent throughout the paper. A sample MLA-formatted paper with in-text citations, block quotes, notes, and a Works Cited page is available at Purdue OWL here. Keep in mind that formatting guidelines are always subject to revision and may be updated before sites like Purdue or this one have a chance to update. So for the latest guidelines on how to format, it is always best to go directly to the source. Formatting for Chicago style is a little different from both APA and MLA in that the most common way for sources to be referenced according to this style is through the use of footnotes. This means that whenever a source is cited in-text, a subscript is placed at the end of the sentence and at the bottom of the page a footnote is typed that provides the name of the author of the source, the title, its publication data and/or place of reference on the Internet. This can be an easy style to use once it is properly learned and it keeps the paragraphs from becoming cluttered with parenthetical citations (like what appear in APA and MLA style formats). As always, the best place to start when using a new style that you are unfamiliar with is the style’s source itself—in this case, the Chicago Manual of Style Online. Try it out for further guidance. Like MLA style, Chicago is often used in the Humanities. To compare how MLA, APA and Chicago all look when side by side, Purdue OWL has produced a nice comparison chart accessible through Google Docs here or straight from the Purdue site here. This chart shows you everything you need to know with respect to approach, reference lists, citation mechanics (how to cite sources with one author, two authors, etc.) and how to do in-text citations. This is one of the easiest and most helpful tools available anywhere on the Net so be sure to check it out if you have any questions. They are more than likely to be answered there. First time essay writers often make mistakes with fonts: they switch up the font size, sometimes going as small as 10 pt. instead of keeping it consistent at 12 pt. Or they change the font type—using Times New Roman in some places, Arial in others, and so on. If using Word, you can easily find font settings at the top banner on your screen under Home. The font you are currently using will be selected and shown in the bar next to the font size indicator. Pay attention to this—especially if you are cutting and pasting quotes from online sources: those quotes will most likely need to be adjusted so that the font is consistent. Likewise, make sure you text is in black—not blue, green, yellow, red or any other color. Hyperlinks included in the text will appear in a highlighted blue, which is okay—but don’t try to get too fancy by using a lot of different colors in your paper unless your professor has already advised you to do so. Most teachers like things simple and the same: it makes it easier on their eyes and ensures that the emphasis on your end is on the work itself—the writing—which is really what matters most. The format is simply there to help you keep it organized in an acceptable academic manner. Another good thing to remember when formatting your essay is adhere to all guidelines and/or rubrics given you by your teacher. If your teacher asks for a Table of Contents page then be sure to supply one. Again, if you are using Word, a Table of Contents page can be created easily. Because there are so many different versions of Word in use today, the best place to seek guidance on how to create the Table is from Microsoft itself. Here is a great set of detailed instructions that can be used to help you in the creation of a Table of Contents no matter what version of Word you are using. Always keep in mind the Who, What, Where, Why and How of your topic. If you remember to answer all these questions while writing, you’ll be fine. Beyond the basic Intro, Body, Conclusion structure, there really is no one way to write an essay. For longer essays, a more detailed outline will be required. For shorter essays, a simple outline will help. Before beginning be aware of the style that your professor wants you to use when writing your paper—whether it is MLA, APA, Chicago—or maybe even Harvard (which is similar to APA in that it uses the same “author date” in-text citation method, though it differs when it comes to the References page—see here for more examples of Harvard citation and referencing practices). If the professor is not particular, choose one method that you prefer and stick with it. Do not mix up citation styles in one paper! Pick a single one and adhere to it all the way through your essay. This makes everything clean and consistent—which your professor will appreciate when it comes time to read and mark up your essay. You will also want to find out what types of sources are acceptable. Your professor may want you to use only scholarly journals, which means sites like Wikipedia would out of the question. Or you may be required to stick to the books used in class, which means all your info will have to come from those sources. When preparing for your paper, be sure to find out what the parameters of the essay are—what can be used as a reference and what cannot. Once you have all that figured out, you can start constructing a map of your writing. This is exactly as it sounds—and can be as visual as you like. A treasure map shows where treasure is buried and gives exact details so that it can be found again—i.e., twenty paces from the last coconut tree along the ridge on the south side of the island. A writing map acts the same way. You start with what you know—the parameters of the essay: these are your boundaries and tools. Then you put in that which you are going to discuss—your thesis (your buried treasure). To dig up your thesis, you will need to provide clear steps on how to accomplish that feat—this will act as your subtopics or supporting arguments. You can provide supporting evidence, examples, illustrations, links, references—whatever you are able to come up with to get your reader to the place where “x” marks the spot. One of the best things you can do as a writer is to be original. Teachers read essays all the time, so if you want yours to stand out, use language that shows you have put some thought and inspiration into your essay. Tap into the hidden energy inside you and let it out in words. You don’t have to try to sound like someone else—but by adhering to the proper format, style, and parameters/rubrics given you by the professor, you will be able to match tone with content—and that is what matters most. Always remember that an essay is typically an exercise in formal writing but that does not mean it has to be devoid of personality. If you are unsure of the tone with which you should approach your essay, just consider the professor, the subject, and the type of expectations he or she is likely to have for you: you will know the extent to which you can get away with being yourself and the extent to which you should conform to the “higher version” of yourself by quietly considering the context of your essay writing. Don’t be afraid to ask questions of your professor should you ever feel the need for more clarity or for more some clearer directions. Professors would much prefer to have these questions than to slog their way through an essay written by a student who failed to seek out help before writing. The beauty of understanding the essay format that you are supposed to use is that it gives you the tools you need to start writing like a scholar. Those tools will in turn give you confidence. The more scholarly your paper looks, the more you will realize that you can do this! You don’t get to be a scholarly writer without practice—so even if you feel that your essay is subpar, academically speaking, just know that Rome wasn’t built in a day! That means you can always come back and perfect your writing over time. Indeed, the more you do it, the better you will get: practice makes perfect. That said, be sure to follow the correct formatting steps outlined above. Basic formatting structure is simple in most colleges and high schools today: double space your papers, use one-inch margins, consistently adhere to a single citation method and follow the intro/body/conclusion structure. Remember to green light your writing with a clear statement of purpose—your thesis—and support it with lots of details that can be picked up from other sources and included in your paper (properly cited, of course). 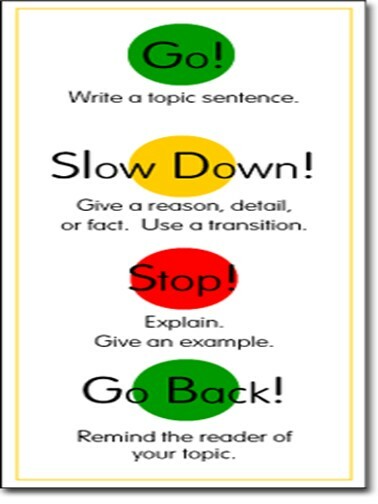 Yellow lights aren’t bad when it comes to writing: they help you to slow it down and make sure the who, what, where, why and how have all been covered. Keep going back to your main point to ensure continuity, and always finish up your work with a sensible conclusion that reiterates the main point. Be sure to include a Works Cited, References, or Bibliography page (depending on your chosen citation style) and follow the rules for plugging in the sources! Good luck! 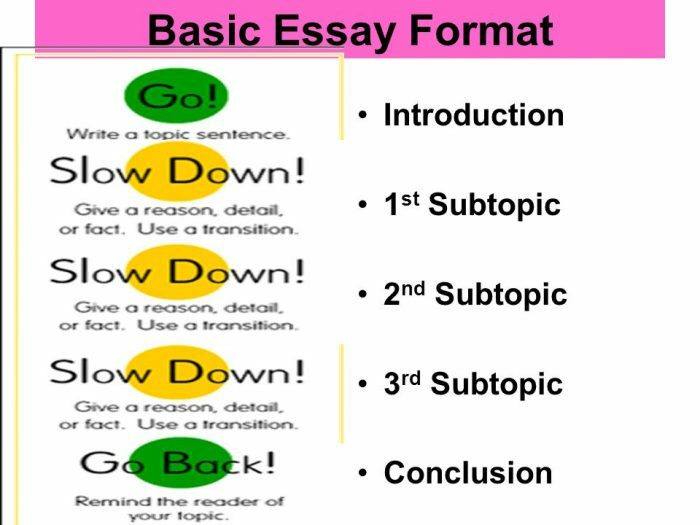 "Essay Format Made Simple: How to Earn Better Grades Quickly." Aceyourpaper.com. Student Network Resources Inc, 28 June. 2017. Web. 20 April 2019. 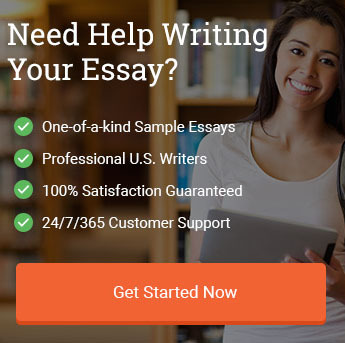 Student Network Resources Inc. "Essay Format Made Simple: How to Earn Better Grades Quickly." Aceyourpaper.com. https://www.aceyourpaper.com/essay-writing/essay-format/ (accessed April 20, 2019).